The Farmer's Dog - Fresh Custom Made Meals Delivered to You! The Farmer’s Dog- Fresh Custom Made Meals Delivered Right to Your Door! Our dogs are our family and we love them like children. 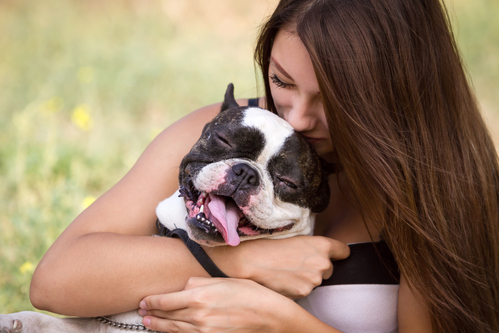 We want to make sure our dogs stay happy, healthy and live a long life! And, of course, we want to feed our dogs’ high quality food without additives or unnecessary fillers. But with many recent recalls, it feels like the only way to know what’s really going into our dogs’ food is if we cook it ourselves. Well, The Farmer’s Dog does the cooking for you as they have created a way to feed your dog healthy meals delivered straight to your door! The Farmer’s dog meals are made with human-grade USDA ingredients which means less processing and your dog will only receive the most natural ingredients. They use real food with ingredients sourced from restaurant suppliers, local farms, and other human food purveyors. They never use feed grade ingredients or fillers so the food retains the most natural nutrients available. How does The Farmer’s Dog work? The Farmer’s Dog is easy to use and super convenient. The meal plans are customized to your dog’s individual profile and needs. They work with board-certified veterinary nutritionists who carefully formulate each balanced recipe according to AAFCO standards and tailor meals specifically to your dog’s needs. Since they only use fresh, human-grade ingredients, each meal is cooked and quickly frozen for transport. Your dog’s food will never sit on a shelf for months at a time as you feed the meals right away. The customized meal plans of freshly prepared food are sent to you on a recurring basis. Meals are customized to fit your dog’s needs and come in convenient serving packs to make feeding easy. They perfectly time deliveries to make sure you never run out of food. Just open up the packages and serve! They even stay in touch and monitor your dog to see if any portion or recipe adjustments need to be made. The meals are very affordable as their vet-developed plans are sent right to you. There are no middlemen or retail markups. They deliver the healthiest, freshest food, all at a reasonable price. Small dogs start at less than $3 a day! And, of course, the healthier the food, the healthier the dog and fewer vet visits! The Farmer’s Dog is so confident in their meals, they even encourage you to tell your vet about your dog’s new diet! If your dog does not normally need a prescription diet and is healthy, he or she will do great on a new meal plan without needing a vet consultation. But, if you feel the need to do so, The Farmer’s Dog encourages it as all vets will recognize the importance of well-balanced, prepared foods at home. 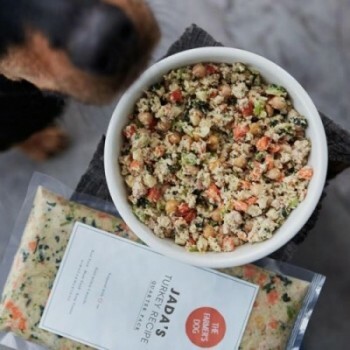 There are so many reasons to feed your dog these healthy, well-balanced meals from The Farmer’s Dog. They are made-to-order for your dog’s needs, veterinarian approved, and are super convenient. AND they are offering a two-week free trial period! Go to The Farmer’s Dog and start your dog on a healthy, super-convenient diet today!